In today’s economic climate, cash flow is a challenge for most businesses. Work flows are far more erratic than they once were. Many firms experience long periods without orders, followed by stretches of very high demand. The cost of materials fluctuates wildly either because of varying exchange rates or because of the constantly increasing overheads for those that make the raw materials. In addition, borrowing money is not as easy as it once was. Fortunately, there is no longer a need for firms to rely solely on banks and building societies for cash injections. More and more companies are discovering that they can generate the funds they need using invoice factoring, and this way of borrowing money is viable for most firms. 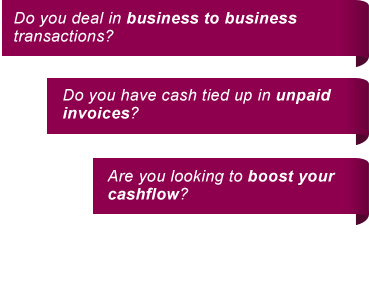 Invoice factoring allows firms to borrow against their invoices. Effectively they are borrowing against what their debtors owe them. If a customer owes a firm £1,000, they can borrow up to £900 against that particular invoice. All firms generate invoices. This means that they can potentially qualify to use invoice factoring as a way of generating cash for their business. Every kind of firm can borrow in this way, regardless of its size or sector. A sole trader can borrow money in the same way that a multi-national can. There are no hard and fast rules about turnover, or how long the firm has been in existence. However, firms that have a larger turnover and a longer history will normally find more financers who are willing to lend to them using invoice factoring. Even a company with a poor credit history can usually find a suitable lender. The repayment of the loan is dependent on a firm’s customer paying their debt, so their credit history may be considered important. Their credit history may play a role in whether a loan can be secured against a specific invoice. In most cases, customers pay their invoices on time. It is at this point that the loan is paid. The balance of the invoice, minus the interest and fees, is paid into the account of the firm which is borrowing the money. If, however, a customer does not pay the invoice, the factoring firm is the one that chases that customer for payment. For most firms, this is a big benefit of invoice factoring. It is important to consider what would happen if a customer fails to pay an invoice. Should that happen, the debt would still be owed by the company using the factoring service. For this reason, factoring is not suitable for a firm that has no way of covering the debt. However, it is possible to mitigate that risk by taking out a small insurance policy to cover the debt should the customer not pay their invoice. This is called recourse invoice factoring. Invoice factoring is a flexible way to borrow money and is a suitable option for virtually any kind of firm. All a firm needs to do to use this service is to contact us at Invoice Finance Scotland.